Even though the quality of a bird's beak is key to the health of the overall bird, it can be difficult for bird owners to assess the health of their bird's mouth, and even more difficult for them to figure out how to treat beak problems if any should arise. We will discuss common beak problems that arise in parrots and other types of captive pet birds, look at ways that we can promote and maintain optimal beak health in our feathered friends, and learn how to identify and fix beak problems that can lead to big health issues for our birds. Becoming more aware of the condition of your bird's beak will allow you to formulate a more accurate estimation of his or her overall health, and make it easier for you to provide the best possible care for your beloved pet. Although it might not be something you'd normally think about, a pet bird's beak is susceptible to several common problems. Common beak problems, and thankfully, the least problematic and severe, is to notice a flaky beak on a captive exotic bird. For some reason, this seems to be more common in Conures and Cockatoos, although it can happen in any parrot species. If you do notice that your pet bird has a flaky beak, the most likely culprit is a vitamin deficiency. In this case, you should consult with your avian vet for suggestions for supplements or dietary changes that will help heal your pet's mouth. 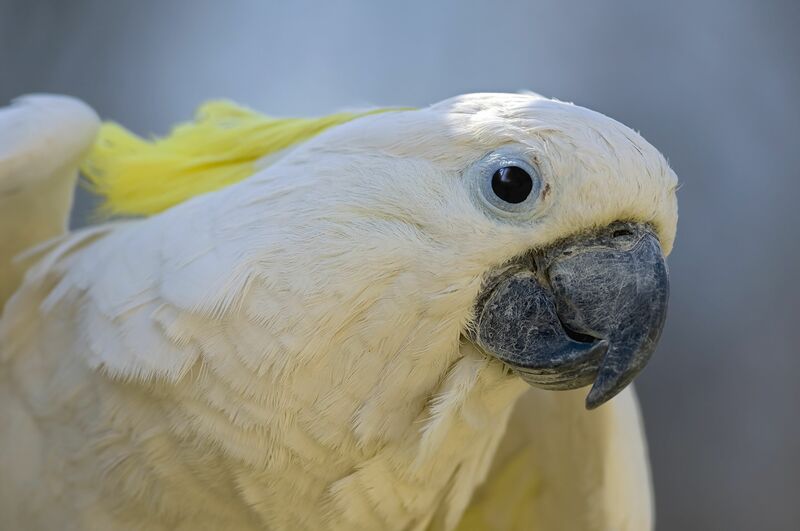 Other common beak disorders noted in pet birds are known as scissors beak and parrot beak, both growth abnormalities that can only be corrected with prosthetics or surgery administered by a qualified avian veterinarian. Helping your pet bird maintain a healthy and strong beak isn't as hard as it might seem. For one thing, providing your bird with bird-safe natural wood perches will help encourage your feathered friend to exercise his or her beak by chewing them, which they would normally do to tree branches in the wild. Another thing that you can do to promote beak health is to provide your pet with plenty of fresh whole foods such as un-shelled nuts. Whole nuts such as Brazil nuts, pecans, walnuts, and almonds all have tough shells and tasty centers that will encourage birds to use their beaks to break into them. Be sure not to overdo it on the nuts though—too much of a good thing can cause weight gain and obesity in your pet. Another option for helping your bird maintain a healthy beak is to provide a cuttlebone in his or her cage. Not only to do birds find cuttlebones to be fun playthings to chew on, but the cuttlebone also helps to provide a healthy boost to a bird's calcium intake. This can be especially helpful for hens of reproductive age, as extra calcium can help prevent egg binding and other problems with egg production. In some cases of beak overgrowth or other beak growth abnormalities, a beak trim may be in order for your feathered friend. Because a bird's beak is made of keratin and continues to grow throughout the bird's life (much like human hair and fingernails) these trims may be necessary from time to time in cases where the bird fails to properly file its beak on perches, cuttlebones, or toys. 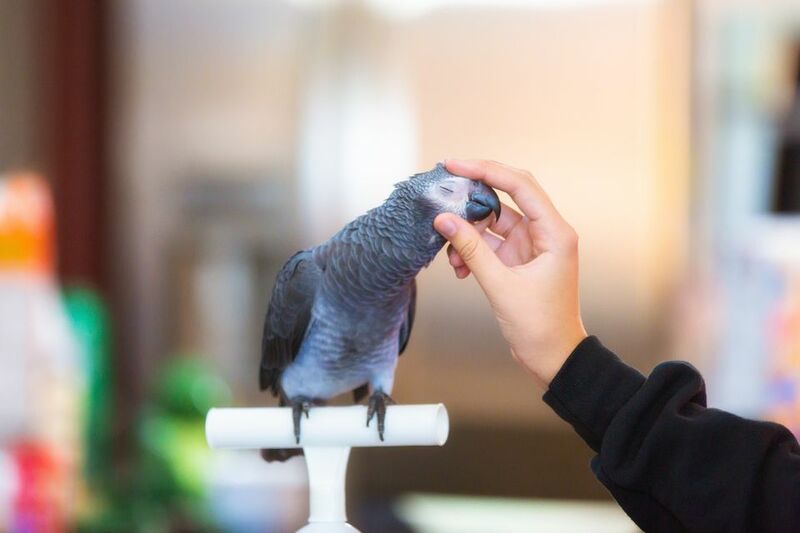 If you suspect that your bird needs a beak trim, then you should schedule an appointment with your avian vet as soon as possible for an evaluation. Abnormally shaped or overgrown beaks can lead to problems with a bird's ability to eat, which can quickly become very severe. Keep a close eye on your bird's food intake until you can get to the vet's office if you notice that your bird's beak looks odd in any way.